Microsoft: Since launching Surface Laptop and Surface Pro in June, the response and feedback have been exciting to see. As Panos wrote in June, this was our largest Surface launch in history; more people in more countries around the world now can purchase the Surface best suited for their work, play, or creativity. Today, we’re pleased to announce that people in 20 countries can select the color they find most appealing. * In addition, the Platinum i7 Surface Laptop is now available in Japan, Hong Kong, and Taiwan. 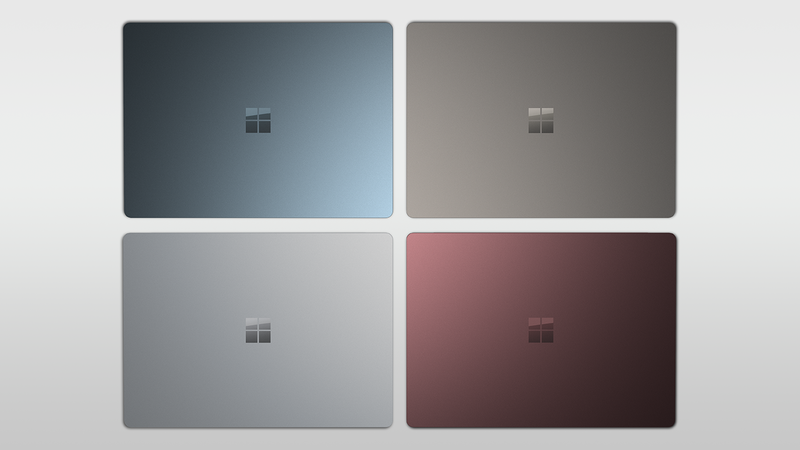 If you’ve been holding out to purchase a Surface Laptop in Cobalt Blue, Burgundy, or Graphite Gold, Visit Surface.com or your nearest Microsoft Store to learn about pre-orders and in-store availability in your country. Whether it’s the colors that speak to you, the all-day battery life, the incredible screen quality, or the elegance of the Alcantara keyboard, we think you’ll love your Surface Laptop. Don’t forget that Surface Laptop comes with the streamlined security and performance of Windows 10 S, and verified apps in the Windows Store. To learn more about Windows 10 S, visit this blog post. For those that find they need an application that isn’t yet available in the Store and must be installed from another source, we’re extending the ability to switch from Windows 10 S to Windows 10 Pro for free until March 31, 2018. We hope this provides increased flexibility for those people searching for the perfect back-to-school or holiday gift.